Beyond the White Memorial Foundation, Alain and May White contributed money and land to dozens of other ventures that have greatly impacted the Litchfield County landscape. 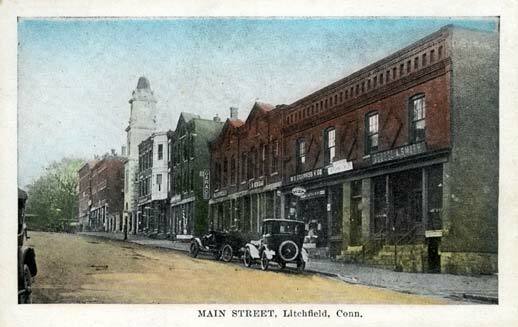 Among these are the Connecticut State Police barracks in Litchfield, Community Field, the land for Litchfield Intermediate and High Schools, Wamogo Regional High School, and the Bantam Civic Association. They also donated 5,745 acres to 14 Connecticut state parks, most in northwestern Connecticut. The Foundation supported the Boy Scouts by leasing Camp Boyd, adjacent to Sandy Beach (the cabin burned in the 1970s) and the Girl Scouts through Camp Townshend, located along Alain White Road in Morris. Townshend opened in 1940, and by the end of that decade over 700 campers visited the property. The property could house 100 campers and 28 staff members for each two-week camp session, which began in late June. In the late 1940s and early 1950s, Mrs. Barbara Cutler served as camp director, and the facility was overseen by a 22-member Budget, Planning, and Maintenance Committee. While Camp Townshend closed in the mid-1970s, and was utlized by the Morris and Litchfield fire departments for training exercises, a walk through the remains of Camp Townshend has the feel of visiting a Wild West ghost town. Even in the darkest days of fall and winter, it is easy to imagine the sounds of summer coming from the lake. This entry was posted in Architecture, History, Nature, Uncategorized and tagged Alain White, Camp Townshend, Girl Scouts, Litchfield, May White, Morris by pvermily. Bookmark the permalink. The two weeks I spent at Camp Townsend as a Girl Scout were the best two weeks of my childhood. Although it is a thing of the past, I will always remember it as the place I learned to row a boat, campfires and pitching a tent!